Home Blog Should you buy your teenager a motorcycle? The prospect of being allowed to ride a motorcycle on the road is exciting for teenagers. However, for many parents, it’s their worst nightmare come true. Quite often, you will find yourself in the position where your child has begun asking for a motorcycle rather than a car. The question that arises for many parents is, should I allow them? A teenagers first automotive isn’t a light decision to make and shouldn’t be rushed. There are, of course, many advantages to allowing your teenager to buy a motorcycle. If they’re under the age of 18 in the UK, there are a lot of restrictions on the type of bike they can ride. Motorcycle tests are a lot more rigorous than car tests, they come in several stages and have additional age restrictions. In addition to this, a teenager can be limited to a learners licence by sitting a CBT test. This means that your teen will be restricted to a much slower bike. Often learner-friendly bikes come with a top speed of 60 MPH. In addition to this, they will be prohibited from carrying passengers. Contrast this with a car test, and your teenager could legally end up in the driver’s seat of a high-speed car full of passengers, even if that car doesn’t belong to them. That’s not to say that your teen would be the perfect law-abiding citizen on a motorcycle, but the opportunities to show off are limited a lot more than they are in a car. The inability to car passengers means less peer pressure, and the testing restrictions mean less access to faster motorbikes. If you do allow your child to progress past their CBT, as a parent, you need to decide as to whether they’re allowed to carry passengers. Some parents choose to ban passengers altogether for a year or two. This comes down to personal parenting styles. Some parents may feel that their child is mature enough to withstand peer pressure and showing off. The vast majority of accidents on the road happen due to a car being full of teenagers creating significant distractions. However, with motorcycles, this can be limited to one passenger, or at the parent’s discretion, none at all. The idea of your child drink driving is enough for any parent to attempt to deter their child from being on the road. It’s very common for teenagers to hide alcohol in their cars, and even if they don’t drink drive, they may have passengers who are. The risk of road accidents increases ten-fold when alcohol is involved even when the driver is sober. However, this effect doesn’t seem to be more prominent with motorcycles. For starters, your teenager can’t physically drink and ride at the same time. The chances of them parking up in the cold British weather are very slim. 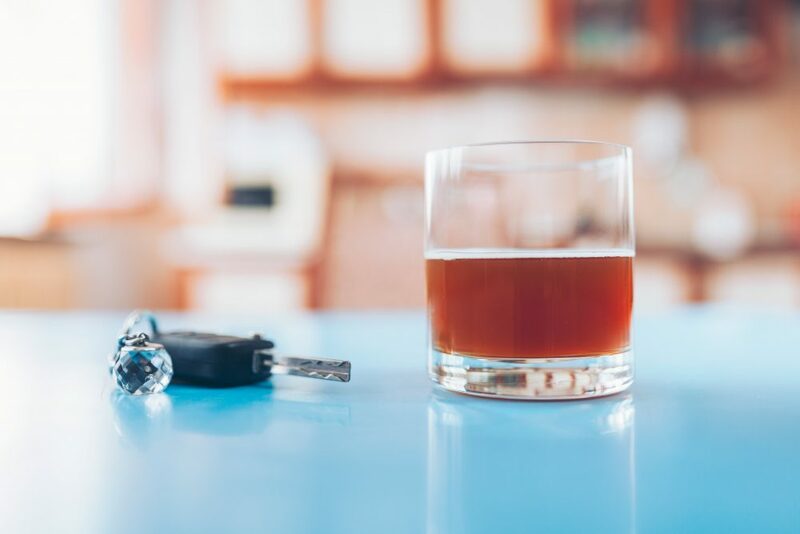 In addition to this, the necessity of physical coordination to move the vehicle means that your teen is unlikely to get far even when they have has a drink. Modern UK Biker culture tends to look unfavourably on drunk bikers who ride. Many opting for energy drinks as a replacement for alcohol at parties or when our riding with friends. This in itself, dramatically reduces the risk of drunk-driving. Avoiding certain areas that are known to be dangerous to bikers. Purchasing a bike, on average, is significantly cheaper than buying a bike. You can buy a brand new, factory fresh bike for the same price as an old beaten up banger. This means that regarding safety, a new machine is going to be far more reliable than a second-hand car. You can get finance deals from as little as £50 per month. Low-interest finance deals additionally give your teen the option to fund the bike purchase from their part-time job. If you do opt for a second-hand bike, many garages around the UK buy, repair and sell on bikes for similar market prices, with the bonus of a warranty. Overall, there are far more deals on the market for motorcycles than cars. When it comes to repairing a motorcycle, again, it’s significantly cheaper than a car. Not only are parts more inexpensive, but so are tyres, break-down memberships and running costs. This means they’re a vehicle that’s more in line with a teenagers income. Insurance is the most significant cost for road users in the UK. On average, a first-year driver can expect to pay over £2000. In comparison, a first-year biker is looking at the cost of £250. With prices like these, it’s easy to see why motorcycles make the more attractive choice when it comes to getting your teen on the road. However, something worth bearing in mind is the hidden cost of motorcycle safety equipment. It’s essential that you purchase a motorcycle helmet brand new to safeguard their life in the event of a collision. 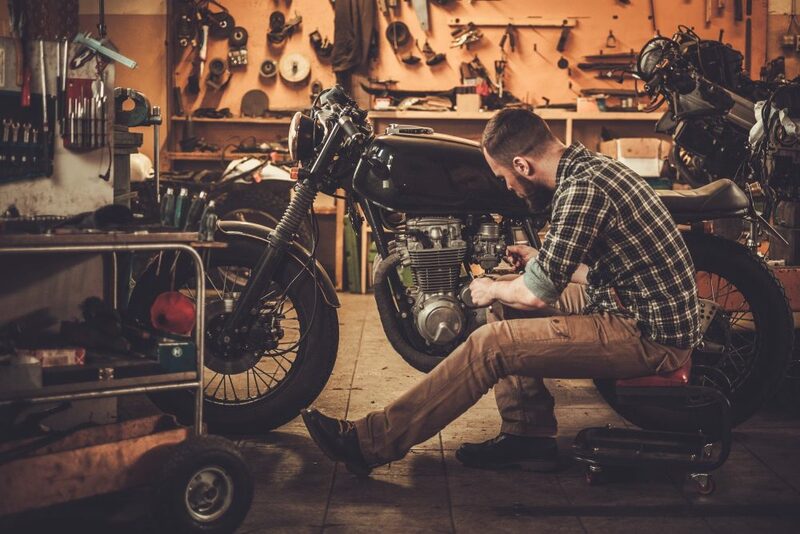 While you may be able to get away with some second-hand bike clothing if you know the source, it’s vital critical to bear in mind that this is still a hidden cost when buying a motorcycle. Ultimately, when it comes to buying your teen a vehicle, it’s going to require you to take an honest view at how responsible your child is. For parents who have allowed their child to ride off-road, it won’t be as much as an issue than for new road users. You already know they are capable of riding a motorcycle maturely. 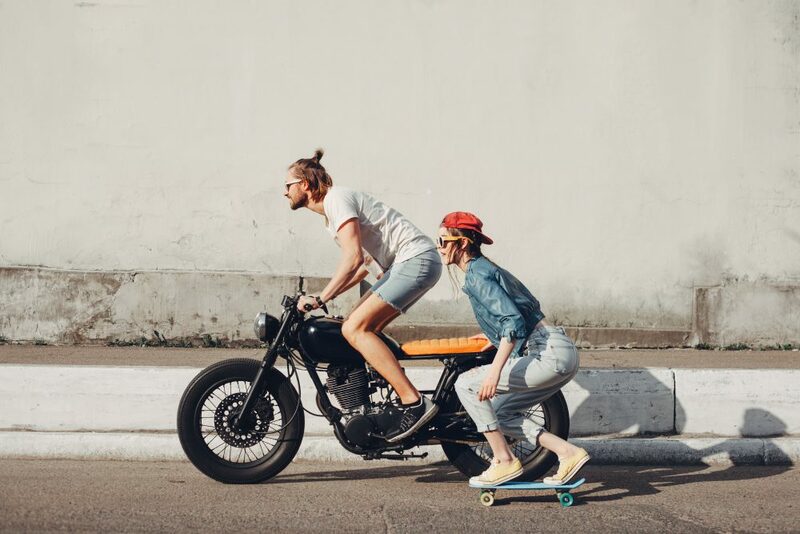 However, if your teen has a severe need for speed and is a known risk taker, you will need to be more cautious with your decision to allow them to own a car OR a bike. More the most part, whatever vehicle you decide your teen can have, you should ensure you come to an agreement on the terms and conditions on their driving. You should start with safety requirements, driving times and tuition requirements. Do you want your teen to take extra tuition such as Pass Plus or rider down courses? After you’ve discussed the terms and conditions, you will get a clearer picture of your teenager’s maturity levels. If they agree to abide by your rules, then you can be confident that they are ready to be on the road. It might be a good idea to discuss the consequences of breaking the rules in advance, for example, losing out on two weeks riding if they break curfew. This way everyone is clear on what can be expected from the decision to get a motorcycle. As a parent, it is your responsibility to do what is in the best interest of your teenager even if they don’t agree with the decision.